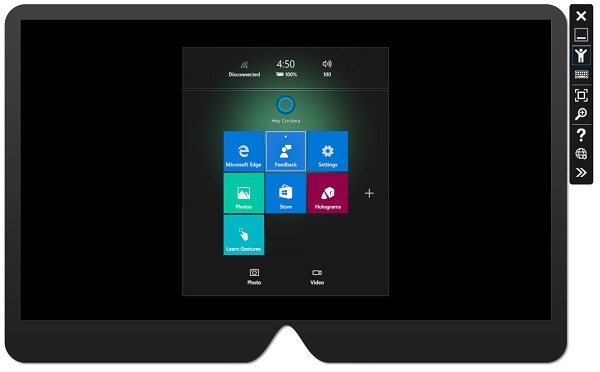 Microsoft releases HoloLens emulator for Windows. At today's Build 2016 conference, Microsoft announces the release of HoloLens emulator. The Windows Holographic SDK and emulator are now available for download. These will enable you to create holographic apps using UWP. Microsoft also share a number of open source projects, HoloToolkit, HoloToolkit-Unity, and Galaxy Explorer, which will accelerate your development of holographic apps, and give you an opportunity to contribute back to help others building on the platform. Developers can now bring existing UWP apps to HoloLens where they will work on 2D surfaces within the virtual world. The Windows 10 SDK works best on the Windows 10 operating system. This SDK is also supported on Windows 8.1, Windows 8, Windows 7, Windows Server 2012, Windows Server 2008 R2. Note that not all tools are supported on older operating systems. Visual Studio 2015 also has hardware requirements.